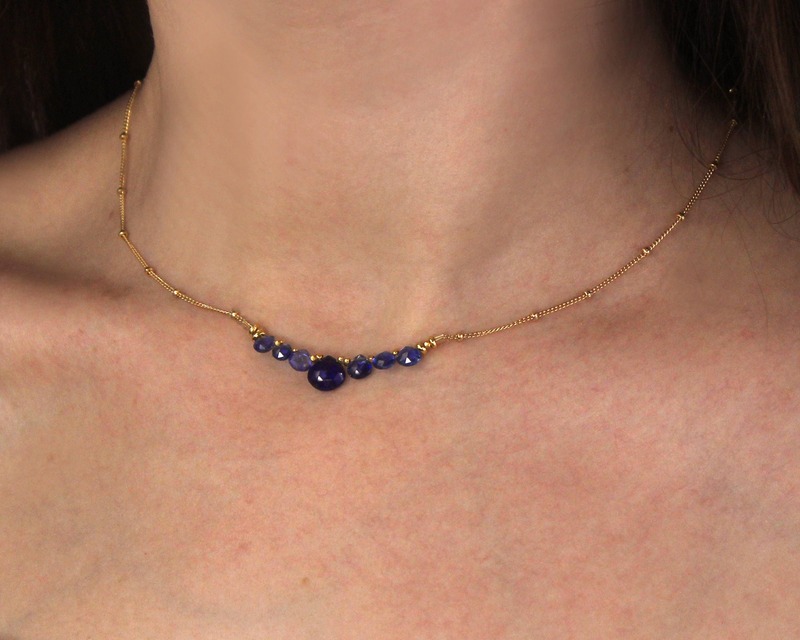 Lapis Lazuli and Kyanite Necklace. 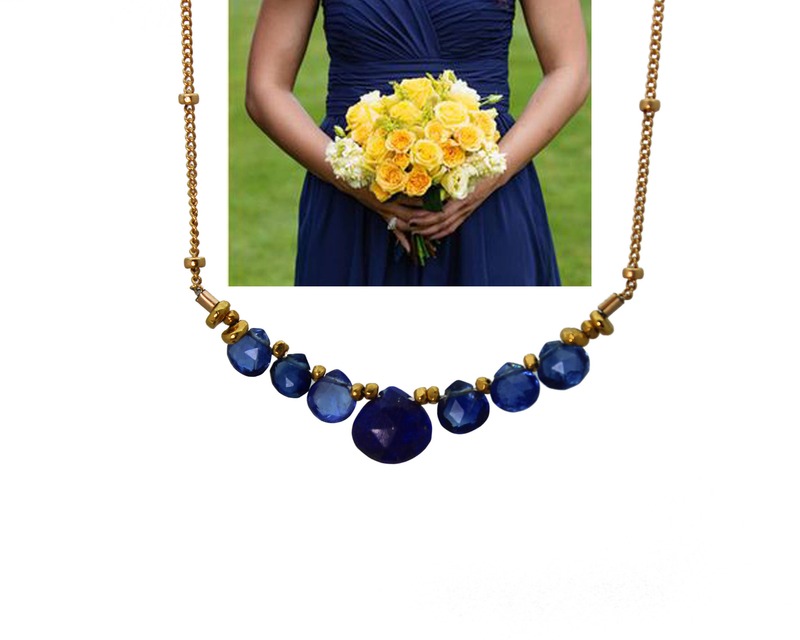 Navy Blue Bridesmaid Gifts. Wedding Color Match Service. 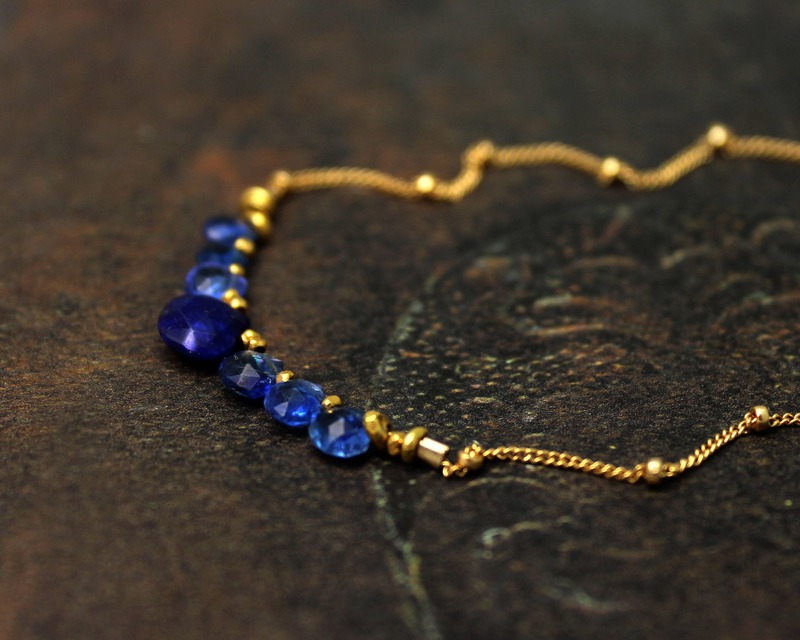 Multi Gemstone Necklace. 15" standard, pictured on model. 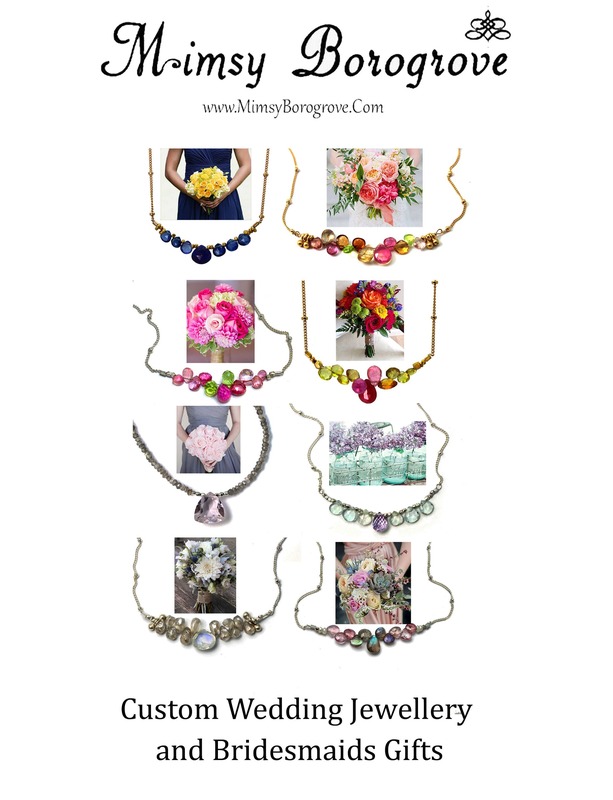 I am happy to make each one the perfect length for each Bridesmaid. • Just send me a picture or link which shows your wedding colors. 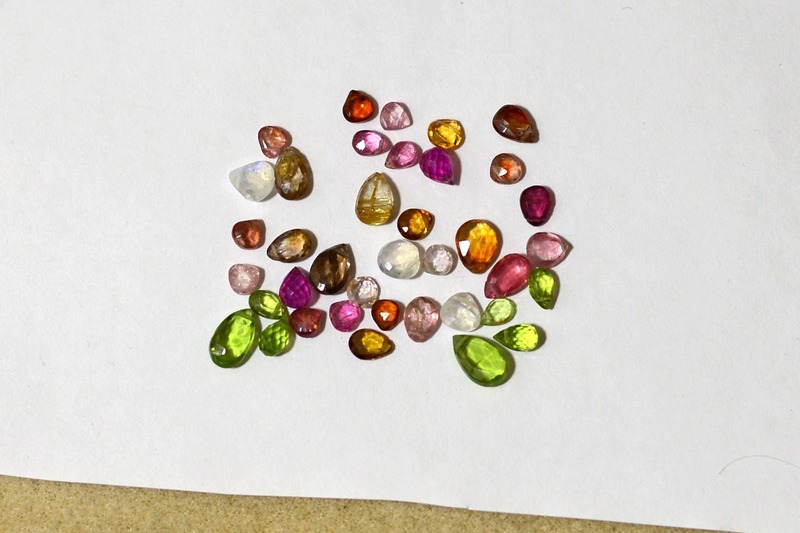 • I'll send you a picture of the loose gemstones that I can use to make your necklace(s). 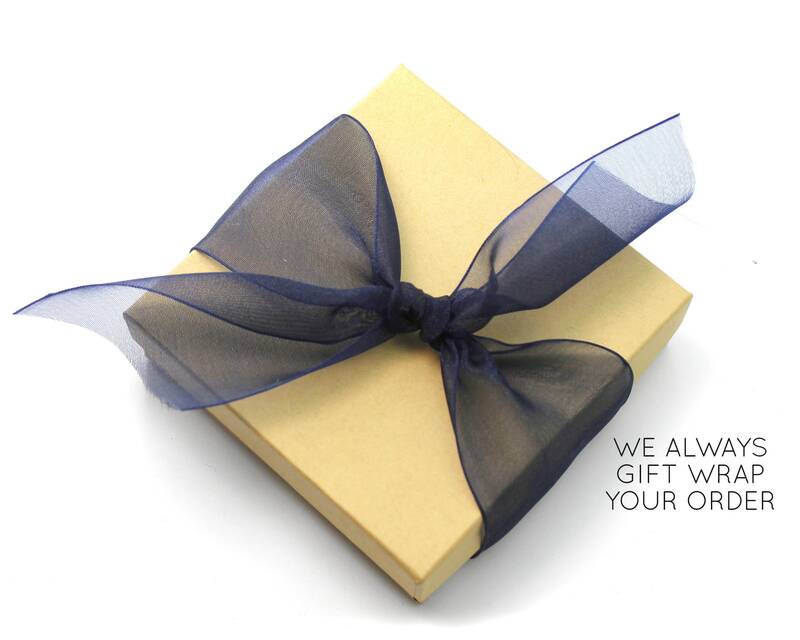 • We make, gift wrap and send as many necklaces as you need.